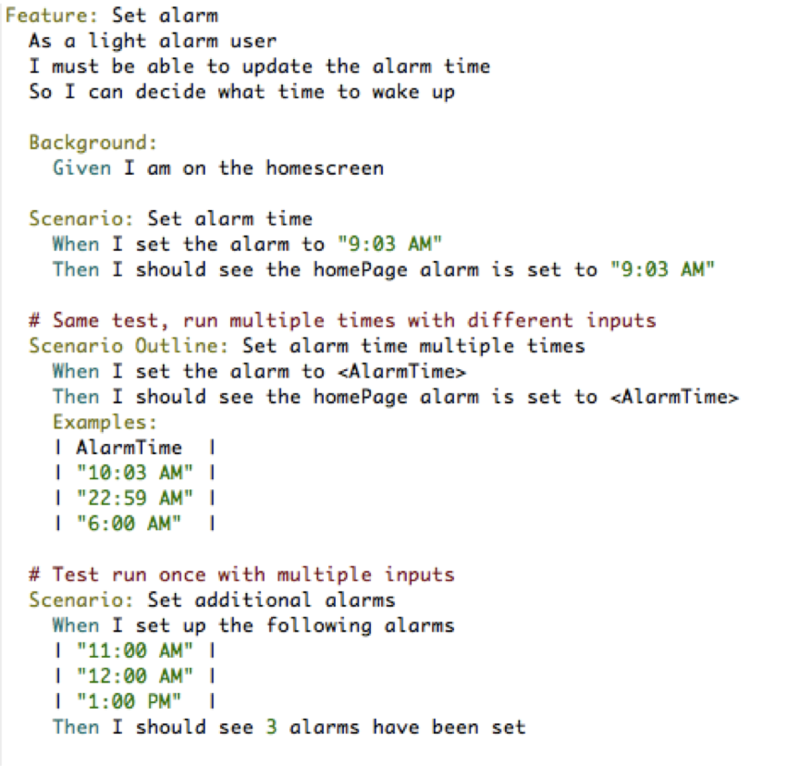 Following the popularity of my last post regarding a Test Automation framework for Appium (Java) centered testing, I have had many requests to create one that is more centred around Selenium & C#. 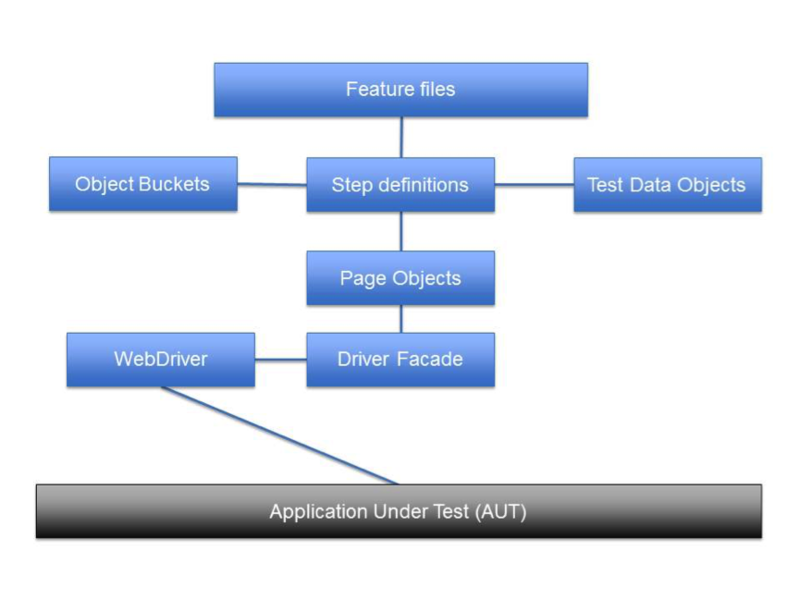 Feature files are made up of User Stories & Acceptance Criteria used to drive the tests. They are written in gherkin syntax (Given, When, Then). Object Buckets are used to store/reuse data across test steps within the same scenario (e.g. 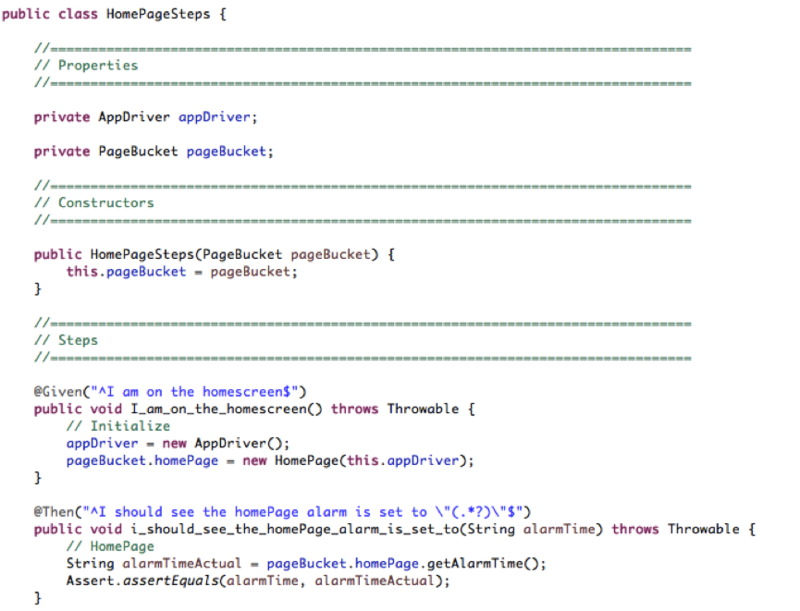 instances of page objects created), using Dependency Injection included with SpecFlow. Step definitions communicate with Page Objects, which are representations of the pages/menus within the Website being tested. 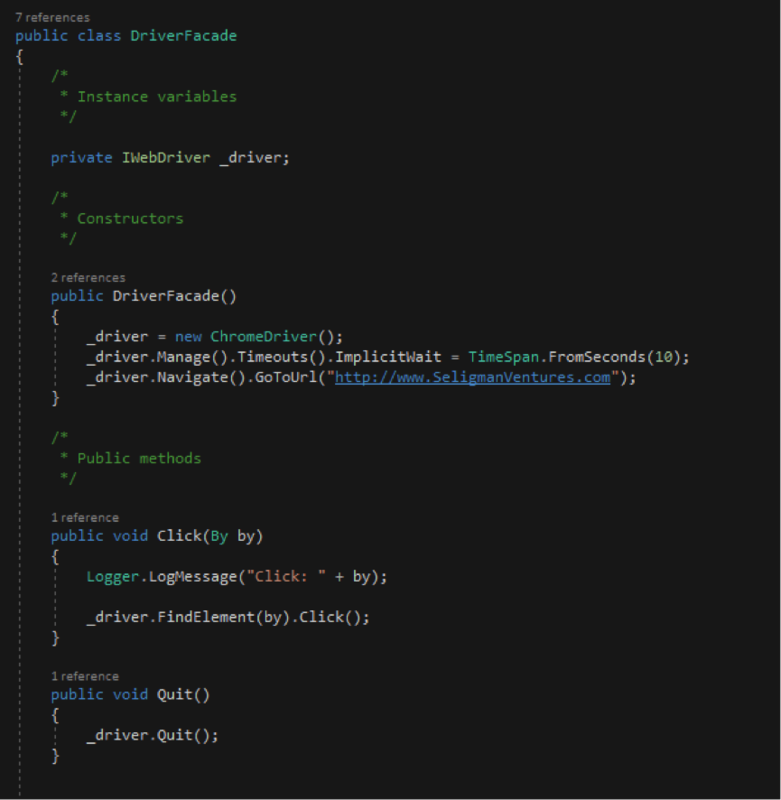 Driver Facade class provides a wrapper for Selenium WebDriver allowing additional logging and any other interaction specific code required. These represent the User Stories/Acceptance Criteria (similar to business requirements) and are written in ‘business speak’ using Gherkin syntax. Given/When sections will rarely appear after a Then statement. Use ‘Given I have navigated to XXXX page’ to get test pre-condition to start on a certain page. Both these statements can be used in the scenario Background. Within the constructor, create/reuse any Object Bucket instances (e.g. Pages class) that are needed within that specific Step Definition file. 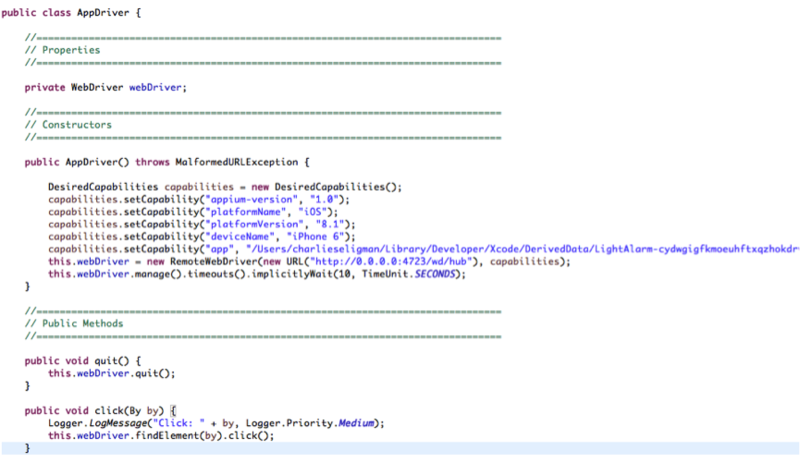 This can be done using SpecFlow’s dependency injection system. Step definition files should contain your asserts. Write your code for a step definition. 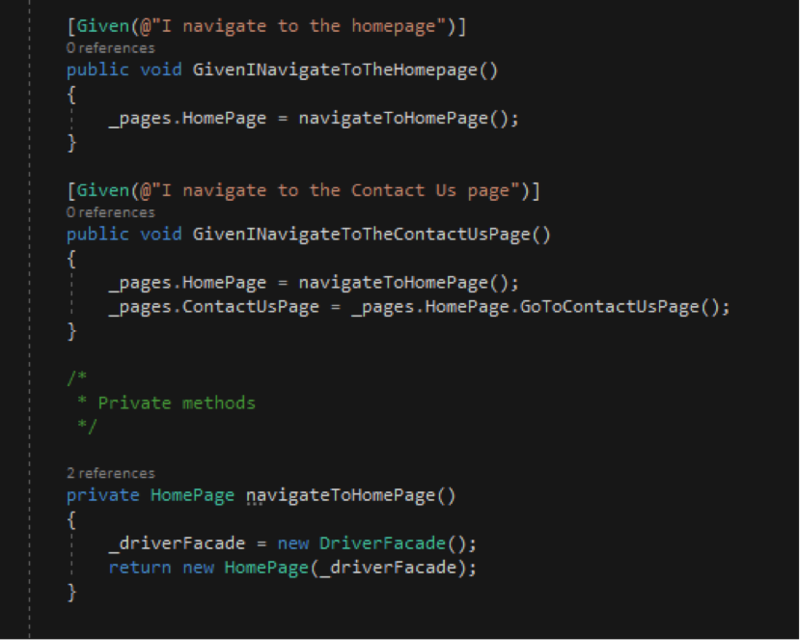 If that code is required by other step definitions within the same file, refactor that code into a private method (see example below). If different step definition files also require the same code, refactor it into a ‘CommonSteps’ step definition file. 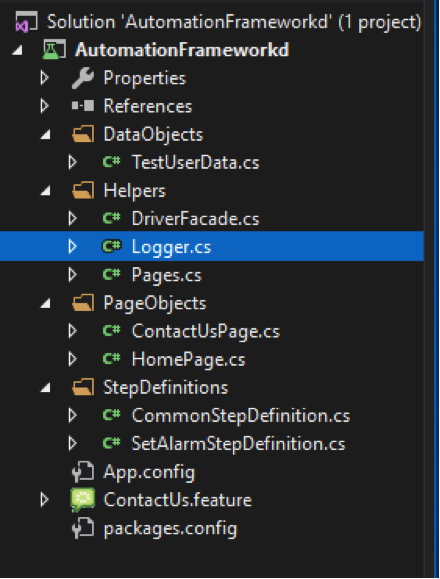 Create a Common Step Definitions file which can be used for step definitions used across different Feature files. 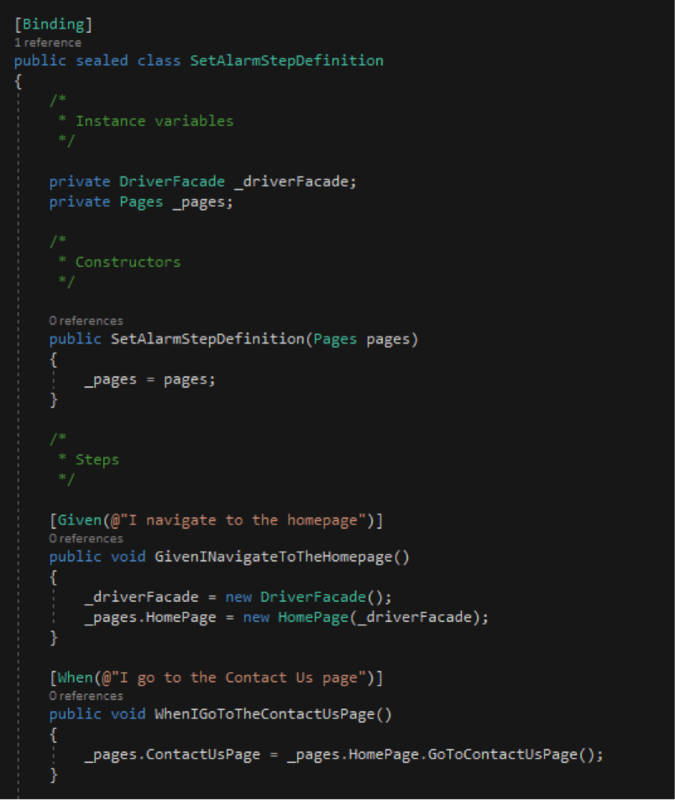 This file can also be used to construct the DriverFacade class and create the initial page object (e.g. for the HomePage). It can also quit the DriverFacade class at the end of tests. 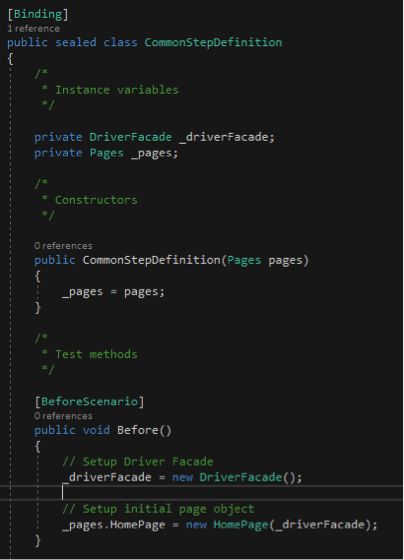 This means DriverFacade only needs to be exposed on this one Step Definition file, remaining hidden & passed between the Page Objects on all other Step Definition files (reducing the likelihood of its misuse). These are used to persist data across Step Definitions as a Cucumber scenario runs. Buckets will simply be ‘plain old’ classes with properties, allowing data to be stored only for the duration of a single test scenario. For example, we recommend storing page object instances between scenarios (so that the DriverFacade can be hidden from the Step definition layer). Alternatively, you can pass enum values (e.g. 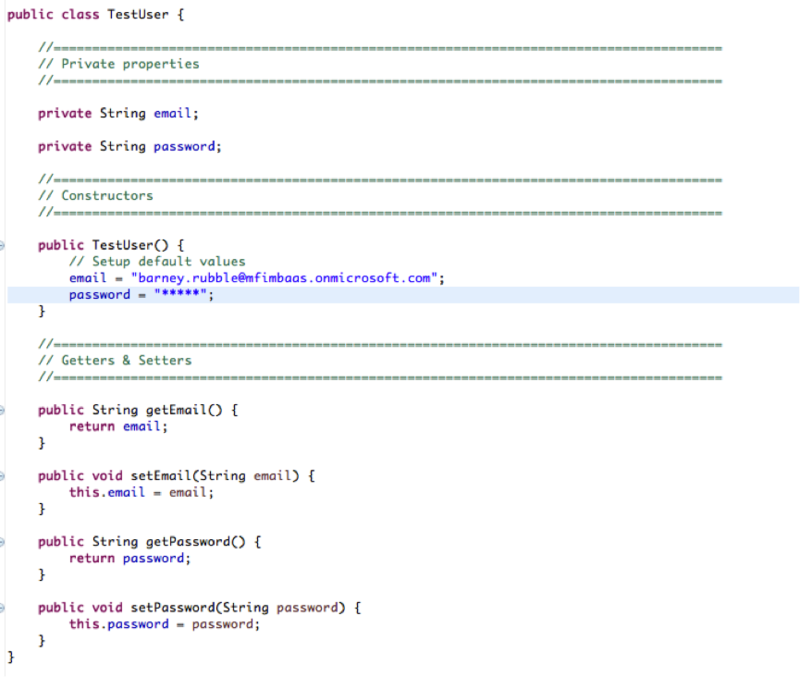 TestUserType.Invalid) into the Test Data constructor to achieve the same outcome. 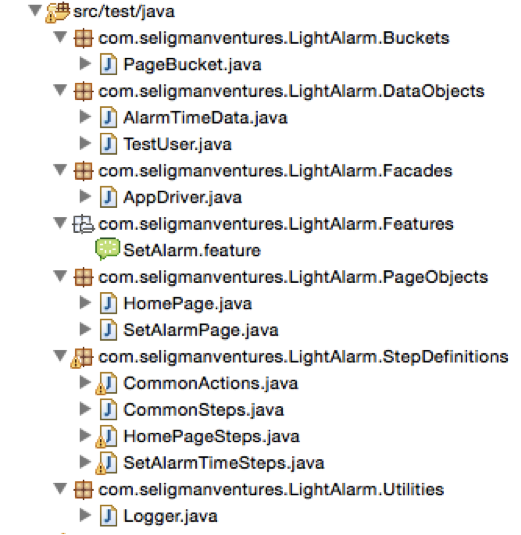 Use getters & setters for test data objects (so that controls can be added if needed at a later stage). A separate class is created for each page or section (e.g. navigation menu) of the Website. The methods on these classes will drive the Web pages (e.g. Actions like: loginWithAValidUser()) or return information about the state of the website (e.g. Queries like: getUsernameDisplayed()). 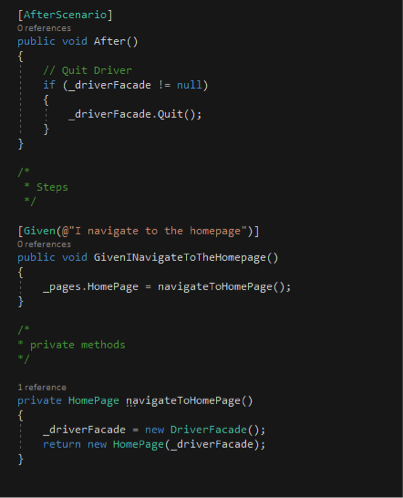 Pass the single instance of DriverFacade into all page objects’ constructor method (see screenshot above). Methods can be functional (e.g. loginWithValidUser) or more specific (e.g. enterEmailAddress). Often functional methods will call specific methods (meaning you maximise the testing potential of the page object and avoid code duplication). Any navigation methods (e.g. 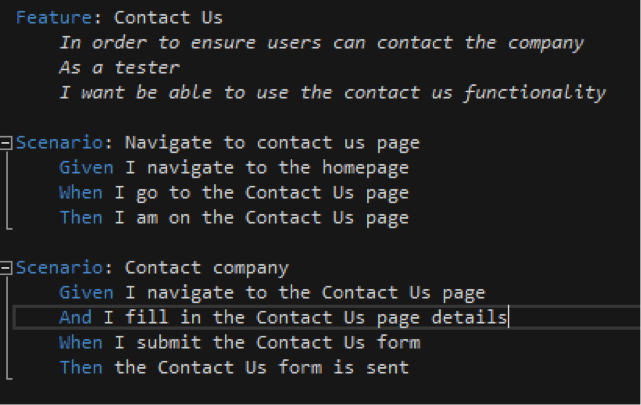 GotoLoginPage) should return an instance of the subsequent page object (e.g. LoginPage). 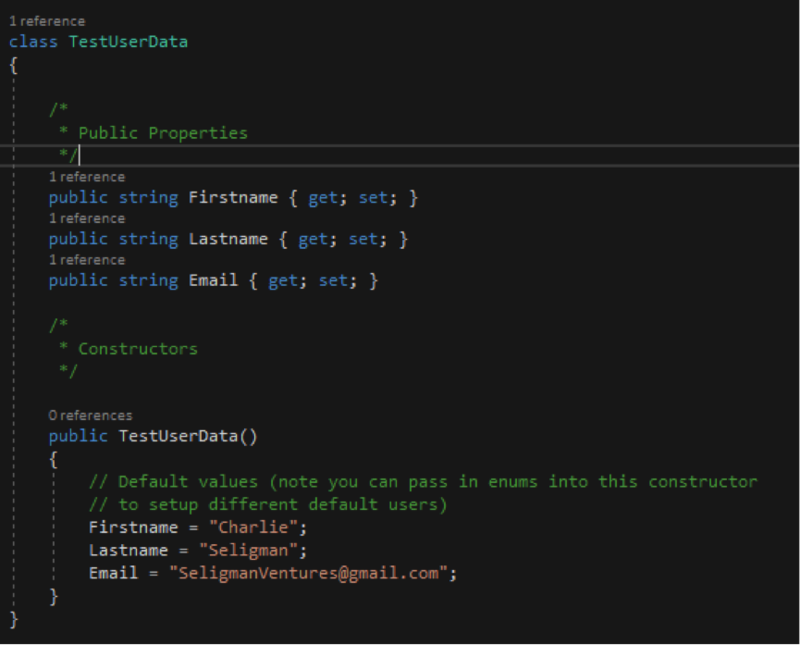 This will allow test writers to navigate through the test suites they are running more easily (since resulting pathway flows will be apparent from the code design). It can also help identify failing tests when, for example, a page object no longer links to a certain page. 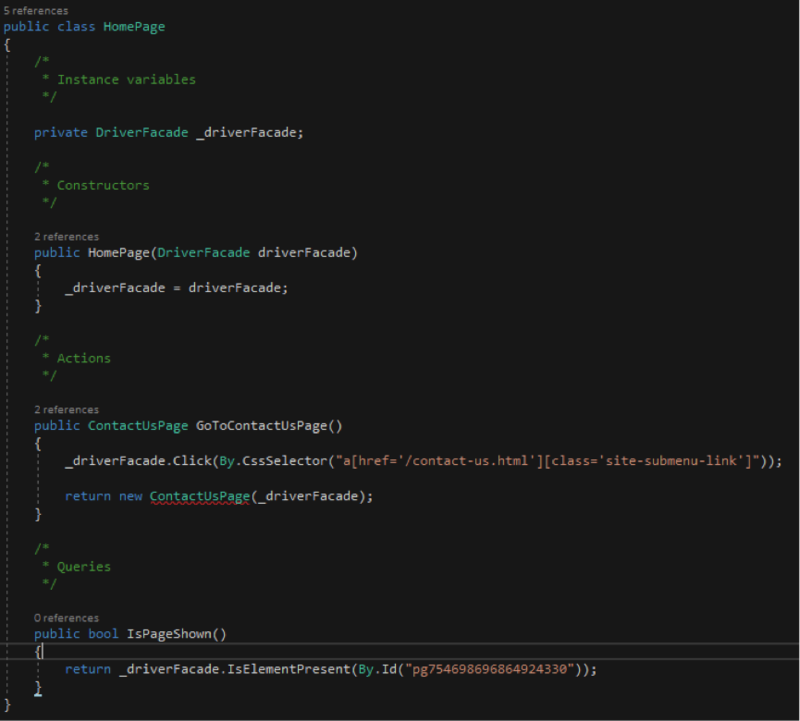 Additionally it will mean the FacadeDriver is not exposed to the Step Definition pages (making its misuse less likely). Page Objects should not make assertions, except optionally in the constructor to check the page is displayed (which can help make sure the correct page is correctly loaded before proceeding). When using NavigationControllers, a single page’s back button might return you to different pages. When this happens you can create multiple methods e.g. 'Back to homepage', 'Back to Account Page' that call the same private method which actually selects the ‘back’ button. For websites, if name and id are not available as properties of objects, use CSS if possible (faster & more consistent than xpath). For Appium xpath is used instead of CSS. 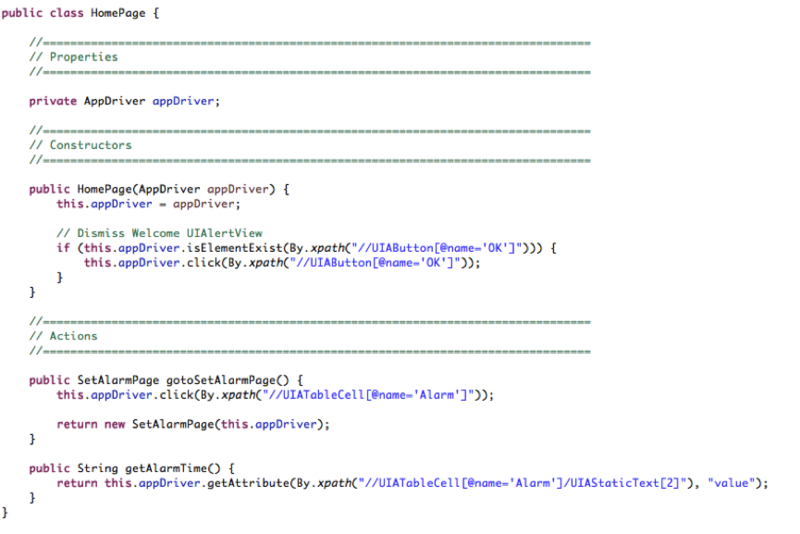 The page objects should interact with FacadeDriver rather than directly with WebDriver. This will allow far more control over test runs (e.g. logging), as well as providing the ability to switch in and out of different automation tools if required. 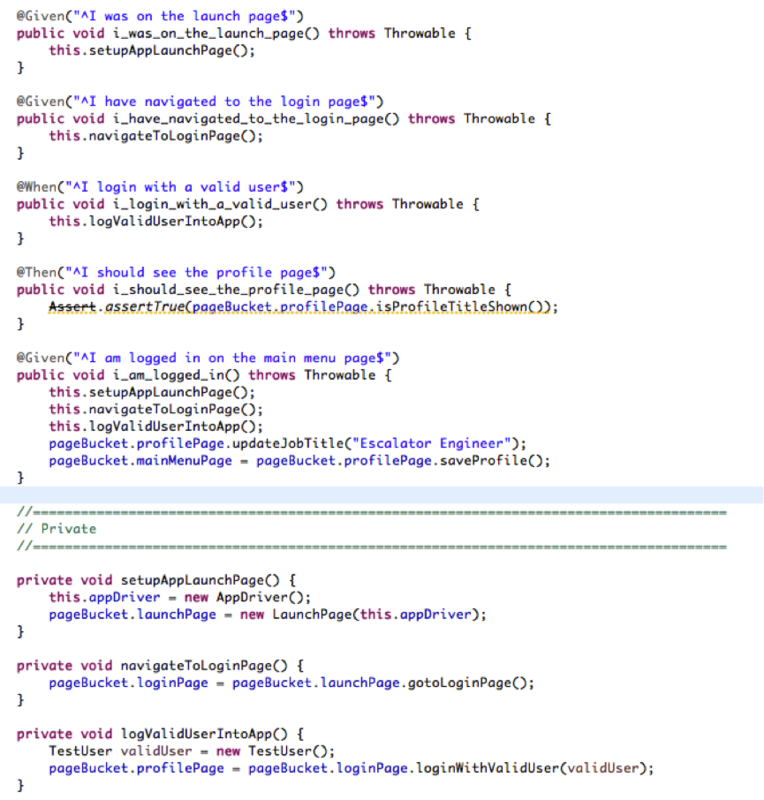 The DriverFacade should be the only class in the test automation framework that interacts directly with Selenium / Appium. Process for writing Gherkin. Perhaps agree scenario titles & relative priorities as a group across Dev, Test & Business (to ensure nothing is missed), but then write individual steps as a tester (to ensure correct wording & ordering of steps is achieved). Here is a simple class that allows you to easily create emails for your apps. Download Light Alarm Free & press 'Feedback' on homescreen, to see example of this class being used.